The San Francisco design firm MINE has been selected to create one of 20 conceptual storefronts in San Francisco's embattled neighborhoods. The San Francisco Arts Commission, in cooperation with the Mayor's office for Economic Development, seeks to revitalize neighborhoods hit hardest by the economic downturn by commissioning artists and designers to transform storefronts of shuttered businesses into inspiring works of art. The "Art in Storefronts" project -- a joint venture of the San Francisco Arts Commission, The Mayor's Office and Triple Base Gallery will temporarily place original art installations by San Francisco-based artists into a total of 20 vacant storefront windows located in Central Market, Tenderloin, Bayview, and Lower 24th Street in the Mission. This inventive citywide project engages local artists and reinvigorates neighborhoods that have been hard-hit by the economic downturn. Among the 10 inaugural storefronts to be unveiled October 1 is an enigmatic installation from the San Francisco design firm MINE. MINE's proposal involves transforming a Market Street storefront with an installation based on their popular Everything is OK project (http://www.everythingisok.com). 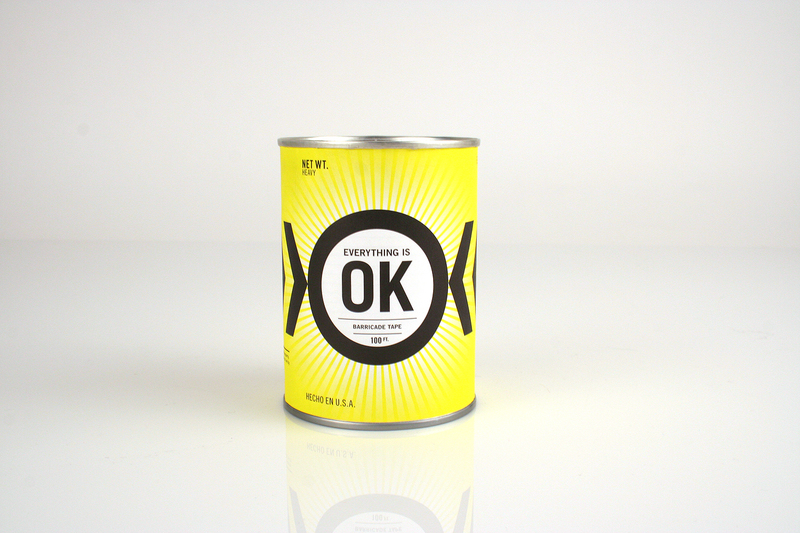 The project leverages the message, "Everything is OK" as a provocation through which passersby are challenged to explore their relationship to the status quo and the term "OK." Does the term "OK" signify "good" or merely mediocre? If everything is mediocre, is that what we're being asked to accept? This mock storefront will include the typographic neon sign above rows of canned "products" that will offer the promise of instant "ok-ness." 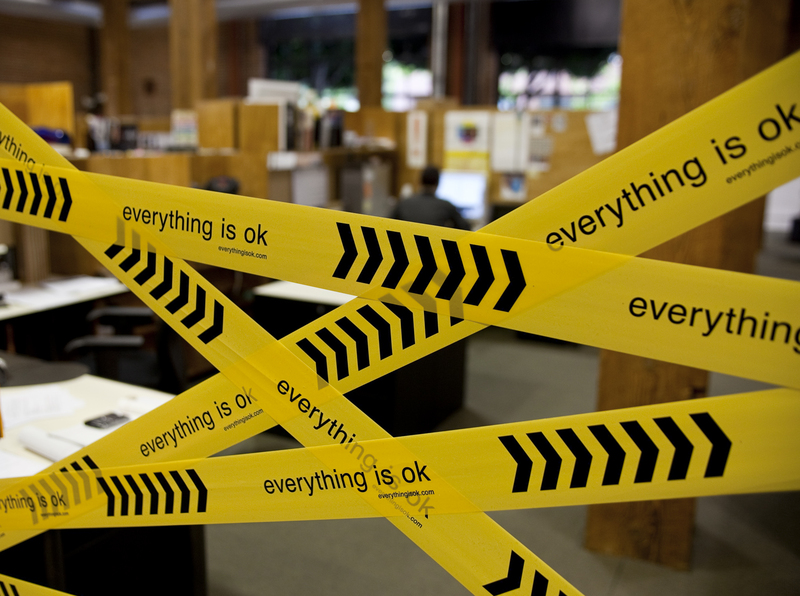 The Everything is OK project has previously been exhibited at the Museum of Contemporary Art in Hiroshima, Japan, The Pasadena Museum of California Art and the San Francisco Museum of Craft and Design, as well as galleries in New York, Oakland and Chicago and street installations around the world. MINE's founder and creative director, Christopher Simmons says he was thrilled when he learned that the Arts Commission selected his proposal from a field of nearly 200 applicants. "We live and work in the City and we're very grateful to have this opportunity to engage our neighbors through a creative gesture," said Simmons who, along with designer Tim Belonax (also of MINE) joins a diverse group of local artists, each with a unique point of view about how art can engage the city's citizenry. The designers' inclusion in the Art in Storefronts project is notable as they are the only graphic designers to be included among the 20 finalists. San Francisco is home to more designers per capita that any other city in the US. 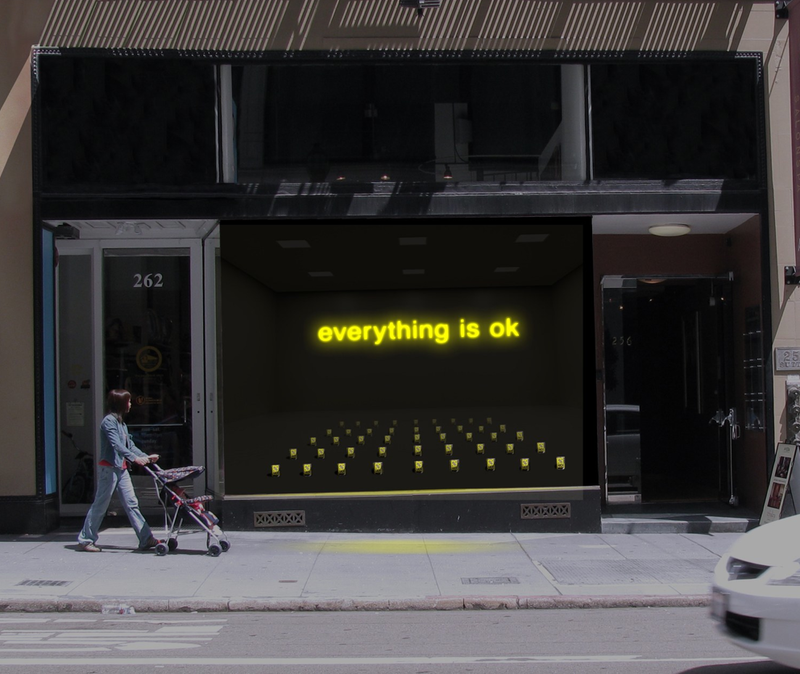 The "Everything is OK" storefront will be among the 10 inaugural installations unveiled at a free public event October 1. The event includes a reception, an artwalk with artist interviews, live music and more. Formal Remarks at 5:30, followed by an unveiling of the the window installations and an art walk with the artists. Storefronts located along Market Street between 5th and 8th Streets.